You need wedding gift ideas for your bridal party, family, and fiancé, but you’re tired of the same-old-same-old engraved flask and make-up bags. Get ready to be tempted to go shopping after you read this. 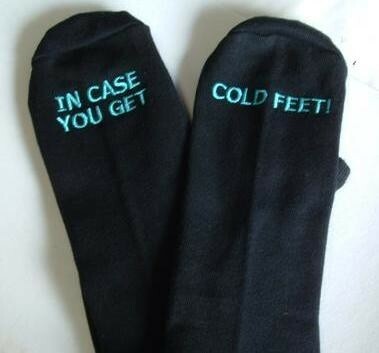 We love these adorable “In case you get cold feet” socks on Wanelo. This humorous gift is sure to ease any fears your guy may be having. 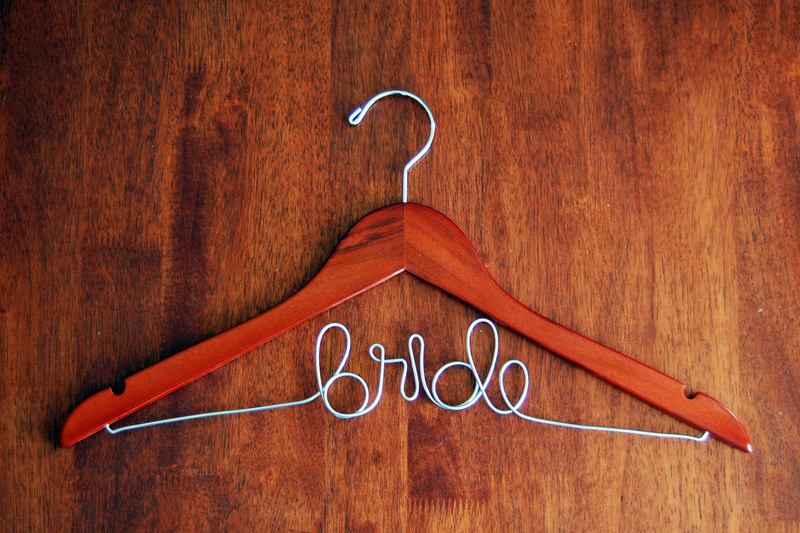 For your bridesmaids (and self, of course), get these adorable personalized hangers. 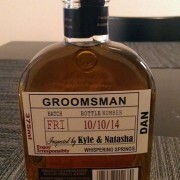 This keepsake can be reused for years and years after the wedding. Buy pretty robes for your bridesmaids to wear while you girls get ready on the big day. They will feel like stars as they spend the day getting pampered. Some guys worry that life after the wedding won’t be as great as it was when you were dating. Prove him wrong with this unique gift idea: Plan and prepay for a date for each month of the year. 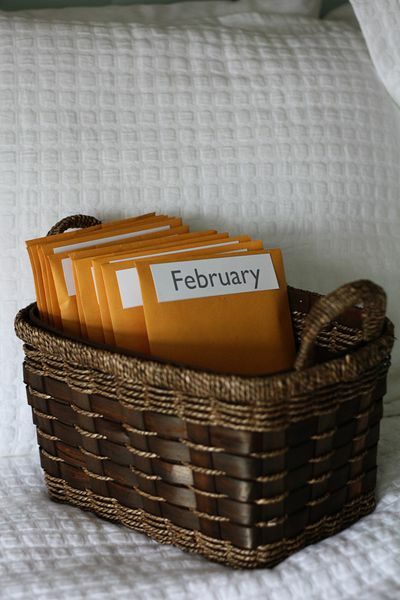 Put the information in envelopes labeled for each month. Throughout the year, you and your guy can enjoy these fun dates together. 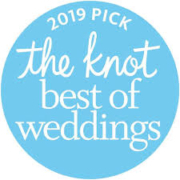 When picking out gifts for your bridal party, family, and fiancé, think outside the box. You don’t have to buy gifts from those wedding catalogs you keep getting in the mail. Consider the personalities of each person and buy something you know they’ll love. I love that dates throughout the year idea – so adorable. And geez, if there was ever a gift that keeps on giving – that would be it! is never simple. At least for most people this is the situation. are of course also really significant.